Chicago police this afternoon revealed that two men killed in Rogers Park since Sunday morning were slain with point-blank shots from the same gun. They believe the same person is also responsible. 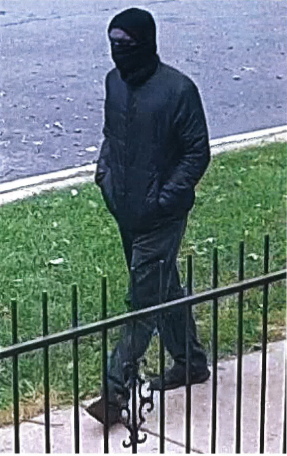 Officials also released a surveillance image of a man wanted in connection with the slaying of 73-year-old Willard Douglass Watts as he walked his dogs in the 1400 block of West Sherwin at 10 a.m. on Sunday. 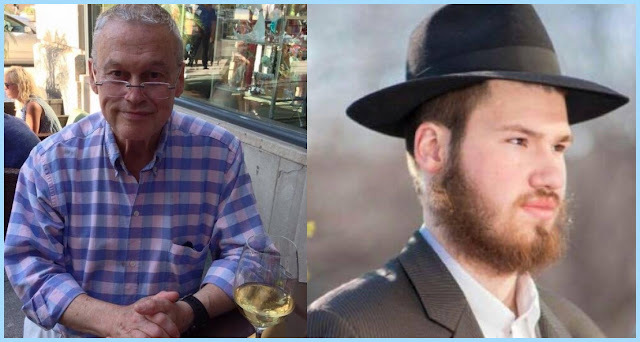 The same man is likely responsible for killing 24-year-old Eliyahu Moscowitz as he walked on the Lakefront Trail around 10:20 p.m. Monday evening, police said at an afternoon news conference. Watts and Moscowitz were each shot one time in their heads at point-blank range as they went about ordinary activities in Rogers Park. Neither appeared to be robbed, according to police sources. Police said in a community alert that the masked man seen in the released image fled westbound on Sherwin Avenue after killing Watts, then southbound in the west alley. Witnesses described the suspect as male, black, thin, and wearing dark clothing. The community alert also encouraged Rogers Park residents to walk in pairs and not to speak with strangers or to approach strange vehicles. “Be aware of your surroundings and travel in well-lit and populated areas,” the alert said, seemingly forgetting that Watts was killed in broad daylight on his own residential street. Anyone with information about the suspect or the crimes is asked to call Area North detectives at (312) 744-8200.